Polymers have generated considerable interest in a large number of technologically important fields such as human healthcare systems. Polymers represent a very important domain of materials and have become an integral part of day to day human life. Polymers exist in nature; they have been and continue to be an integral part of the universe. 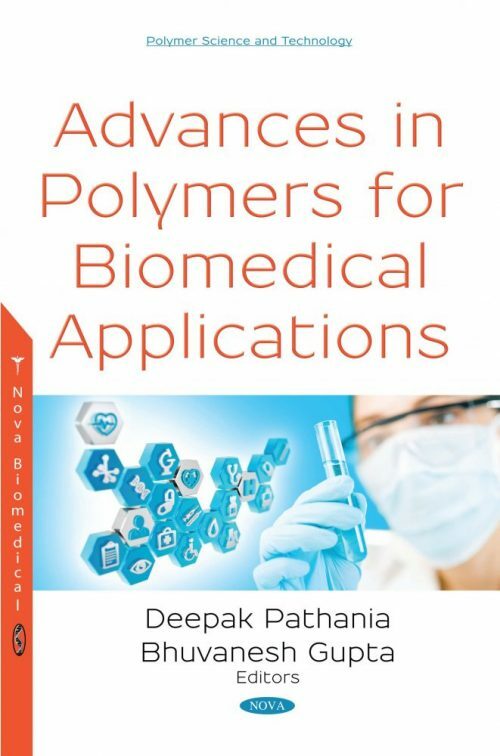 This book is intended for scientists and researchers to use in their research or in their professional practice in polymer chemistry and its biomedical applications. Multiple biological, synthetic and hybrid polymers are used for multiple medical applications. A wide range of different polymers are available, and they have the advantage to be tunable in physical, chemical and biological properties and in a wide range to match the requirements of specific applications. This book gives a brief overview about the introduction and developments of polymers for different applications. It is composed of fourteen edited chapters and is intended for scientists and researchers to use in their research or in their professional practice in polymer chemistry and its biomedical applications.